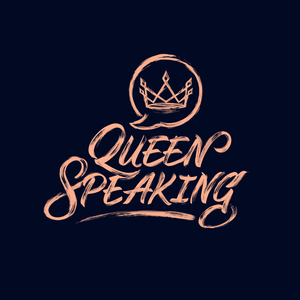 66 episodes of Queen Speaking since the first episode, which aired on February 3rd, 2018. We’re discussing how to apply different coaching techniques and tactics in the workplace to help guide your teammates and ensure everyone around you feels heard and supported. We’re sharing what it looks like when you start to create a career path within your organization or as you prepare for a new job. This includes seeking out career development opportunities, relationships to nurture in this process, and finding ways to expand your range. In this month’s Women Inspiring #TeamQS segment, we’re talking about Melinda Gates of the Bill & Melinda Gates Foundation. We dive into what we can learn from her about reflection, balance, making positive change where you can, and finding partners to accomplish good work. We’re sharing TV shows we’re both watching, some of our guilty pleasures, and what season premieres we’re amped for in the coming months. Want a new option for your friend outings? We’re sharing inspiration for hosting a monthly supper club and other food-based gatherings to enhance your quality time with friends and how to make it your own based on your interests. We get into how grit relates to career success. You’ll learn how to make the distinction between manager struggles and big picture career planning, assessing if you’re in the right industry, and when to dig in and find the grit-driven path to growth. In this month’s Women Inspiring #TeamQS segment, we’re talking about Whitney Wolfe Herd, founder and CEO of Bumble. We dig into her impact on the dating app industry and how she’s continuing to empower women through new business ventures and investing in women founders by being vocal about what matters. Episode 57: Who Am I When I’m Not At Work? Your career does not define your identity! We discuss how we show up in other areas of our life to feel fulfilled, how to recognize those roles, and give them room to breathe. Episode 56: To Journal or Not? We're sharing how journaling can improve our daily lives, how to find the best style to work for you and stick with it. Let’s learn how to use hygge, the nordic concept of coziness, to make our space stay-in ready intentionally instead of an afterthought as we learn to embrace the winter season. In this month’s, Women Inspiring #TeamQS segment, we’re shouting out Samin Nosrat of Salt Fat Acid Heat fame. We get into what she’s teaching us about community and food through her Netflix series and her approachable fundamentals of cooking from her bestselling cookbook. Recognizing that growth happens, we wanted to talk about how we’ve revisited our own budgets, how they’ve evolved, what the new priorities are, and how to readjust as your budget changes and grows with you.